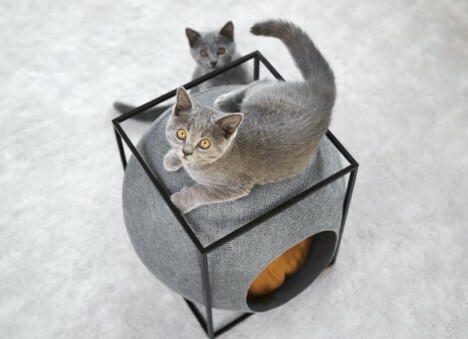 Whether your furry friends are canine or feline, this pair of posh pet architecture companies have your Modernist domesticated animal needs (quite literally) covered. 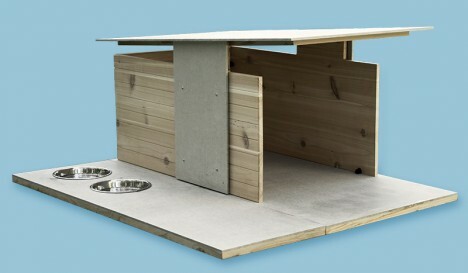 And for those domiciles home to both cats and dogs that do not share space, fear not: the Puphaus is made for the outdoor dog and Meyou created for the indoors cat. 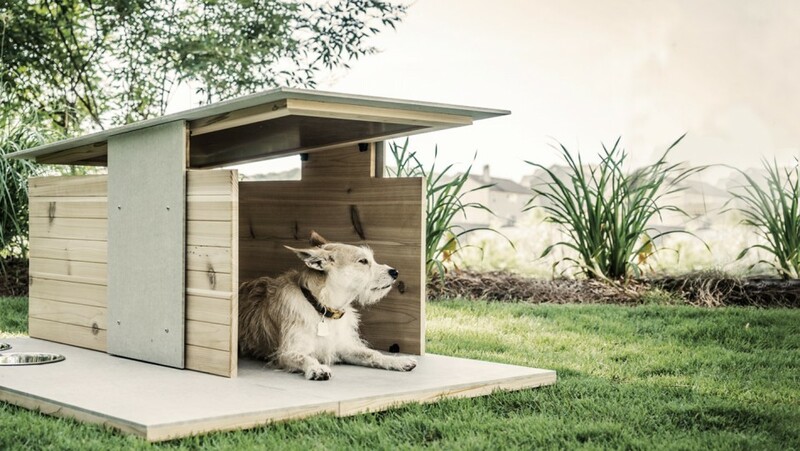 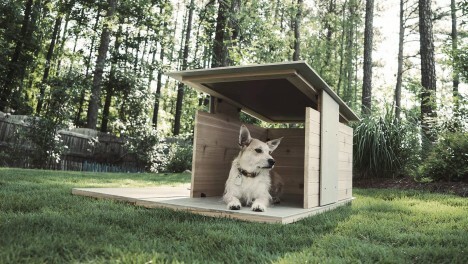 First, the Puphaus borrows domestic architectural design elements but employs a tools-free approach for easy assembly, creating a backyard home for your pup that could be cooler than your own house. 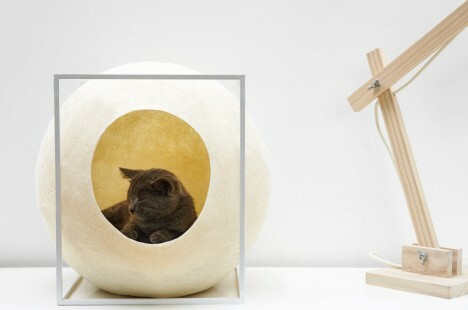 The Meyou line of cat furniture by Parisian designer Aude Sanchez approaches the problem as a question of interior design, aiming to create habitats that will not just look good next to but also become part of your decorative scheme. 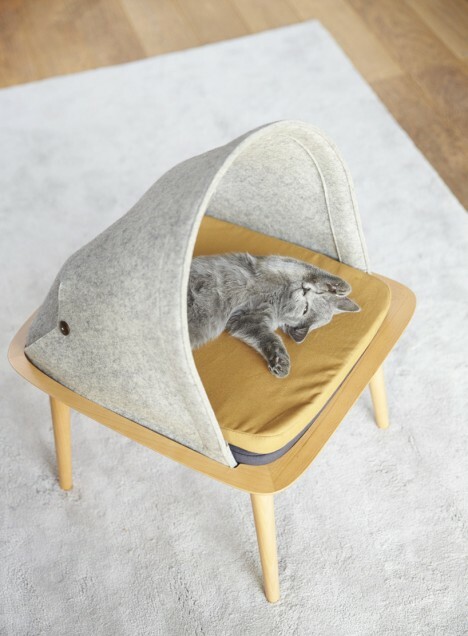 The resulting cat cocoons are made for curious and playful kitties to use for shelter, napping, hiding or even sharpening their claws. 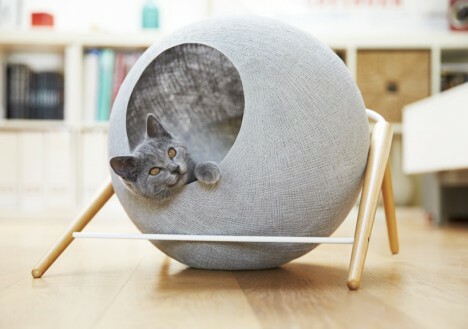 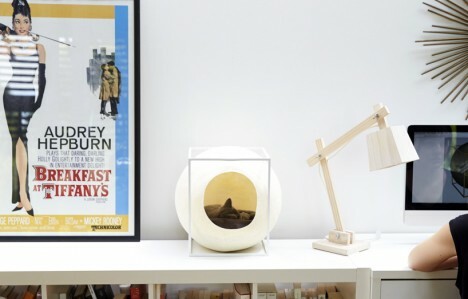 The Ball, The Cocoon and The Bed are variations on the same design approach, each with slightly different layouts and features – they can work individually or as a set for various rooms.